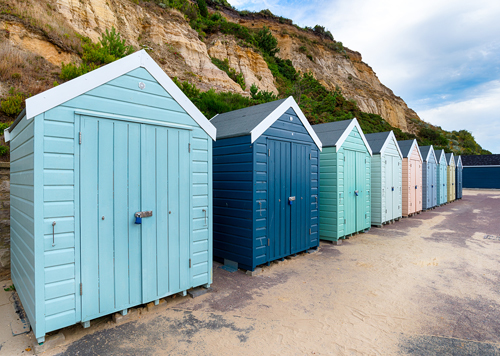 Famous for its 7 miles of golden sand along the south coast, The Pest Detective has been providing Bournemouth Pest Control to the town, including Christchurch and surrounding areas since 2006. We offer a number of services to our Domestic and Commercial Customers which include – Ant Control, Bird Control, Rat control, Mice Control, Mole Control, Wasp Control, Rabbit Control, Flea Control, Cockroach Control, Bed Bug control, Squirrel Control, Fly control, Moth control, Bee control and Spider control. Commercially, we offer and already support many service contracts to the large number of Hotels and Guest Houses situated in the town and surrounding areas as well as Pubs, Clubs, Restaurants, Takeaways, Factories, Shops, Office buildings, Housing Association, Local Councils, Schools, Caravan Parks, ,Government agencies, Golf Courses and Retail Parks. Whatever the nature of your call, be it Domestic or Commercial, Its our aim to be with you within 90 minutes of the initial telephone call so we can put your mind at rest and deal with the problem straight away. You may also be pleased to know that all our vehicles are unmarked which ensures customer confidentiality. This is always pleasing to hear from our commercial customers. All of our staff is fully qualified, Insured, CRB checked and on hand 24/7 to offer advice over the phone or treat your problem should you wish them to do so. As well as providing Domestic and Commercial services, We also provide a number of specialist services such as Woodworm Treatment, Japanese Knotweed, Giant Hogweed eradication and Bird Guano removal. Other areas the we are happy to service are the following –Ashley Heath, Boscombe, Charminster, Moordown, Kinson, Kings Park, Queens Park, Winton, Ferndown , Southbourne, Meyrick Park, Pokestown, Mudeford ,Verwood, West Parley, West Moors and Highcliffe. See below under Competitive Prices for our discounted offers. Very thorough ,helpful and informative. I have the worst garden in the world for moles and this company seems to be the only one that is able to catch and dispatch them successfully. Paul regularly comes back during is current mission to check/move traps etc at no extra cost and he won’t give up until he is satisfied the job is done properly. I have used this company twice now over the last couple of years and will continue to do so if I need to. I can not recommend him highly enough! Thank you! Service was polite, prompt and efficient. Had a great experience working with Paul, totally trustworthy and honest, for me an extremely important thing when dealing with service providers, there are so many cowboys out there!! THESE GUYS ARE GREAT!! Highly, highly recommended. Great service I would highly recommend. A top quality, friendly, value for money service. SNE will definitely be using them again and I highly recommend The Pest Detective (Paul Storey) to anyone needing pest control services in the Dorset area. Paul and the team provided an excellent service. Extremely efficient, clean, tidy and caused no interference with the daily running of the business. Fantastic value for money, I would thoroughly recommend TPD to anyone that has a commercial premises pest problem. Very helpful, quick service, thanks. Extremely efficient and explained what treatment required very clean workmanship. Accurate pricing and on time. Prompt and friendly service. Good advice given to prevent further problems. Great service, speedy cheerful worker would certainly recommend Paul. Great prices! Can’t fault it. From the outset TPD were courteous and more than helpful. The legal ramifications of the situation were explained from the outset, yet TPD were more than happy to have a look at the problem and see if there was a way around it – other firms just couldn’t be bothered as it was “all too difficult”. Having come out with no commitment on my part, they quickly deduced the problem could be resolved within existing the legal restraints and sorted the problem out. I was kept informed at all stages – I simply can’t fault them. Paul was very friendly and honest. Everything was carried out to the professional standard I would want. Excellent! Quick, courteous and friendly, explained the who, what, when, where and how, great service and cheap! He was prompt, efficient and courteous and accomplished the job. He rang to say he was running late as well. Excellent service. Punctual, professional and polite. I rang in a panic because I was being invaded with ants and Paul was luckily working nearby and came out straight after, sprayed around the front room and ants gone. Brilliant thanks, would definitely recommend and use this company again. Friendly, efficient service. Job completed quickly and with good communication throughout. Polite and friendly service, 2nd time we have used this company and on both occasions we have had our problems resolved, definitely recommend. Very delighted with quick response owing to allergy of wasps. Would highly recommend this company. The service was courteous, efficient and effective!